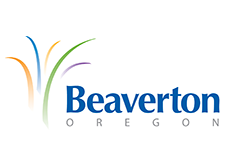 The City of Beaverton is located seven miles west of Portland, Oregon, in the Tualatin River Valley, encompasses 19.6 square miles, and is home to more than 95,000 residents. The city is Oregon’s sixth largest city and the second-largest incorporated city in Washington County. Beaverton is a friendly, active and responsive city well-known for our exceptional community services and amenities, helping Beaverton residents enjoy a high quality of life. Ranked in Money magazine’s Best Places to Live, Beaverton truly is “The Best of Oregon”. The city also has a vast amount of green space with over 100 parks encompassing 1,000 acres. A park is located within a half mile of every home, and the city features 30 miles of hiking trails and a 25-mile network of bike paths. Through a partnership with Tualatin Hills Park and Recreation District (THPRD), Beaverton residents and visitors are able to enjoy many outdoor activities. Ski slopes to the east and ocean beaches to the west provide additional opportunities for recreation. There are over 40,700 students in 51 schools from grades K-12 in the Beaverton School District (the third largest district in Oregon). Nationally acclaimed for their students’ high SAT scores, Beaverton schools have formed strong partnerships with area businesses. Several highly regarded private schools as well as some of the region’s best state and private universities and community colleges are also located within 30 miles of Beaverton.